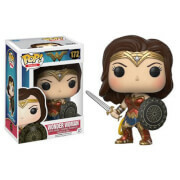 Wonder Woman gets the Rock Candy treatment! 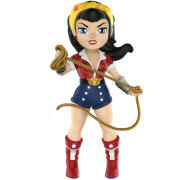 This Batman v Superman: Dawn of Justice Wonder Woman Rock Candy Vinyl Figure features the Amazonian princess warrior as seen in the film, Batman v Superman: Dawn of Justice! Figure stands 5-inches tall and comes packaged in a window display box. I bought this figure during the Black Friday sales along with the Harley Quinn one and of the two this is my favourite. The level of detail is beautiful considering the simple stylistic design. I haven't noticed a paint flaw on her which is something I'm always looking out for as a Pop! collector. 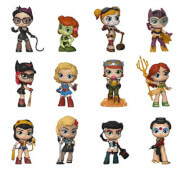 Rock Candy might just be my new favourite Funko line.